EKOMET 50x1.0 mm - Fibres commonly used for any surface whose thickness exceeds 80 mm. EKOMET 50 x0,8 mm - Fibres used for concrete surfaces subject to high loads. The same dosing values result in an increase of the fibre-reinforced concrete strength by 25 %. 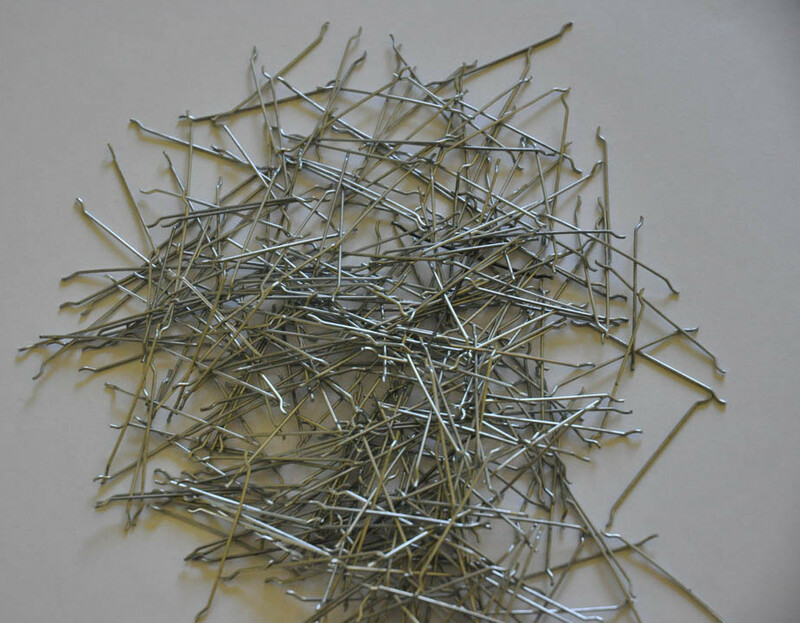 EKOMET steel fibres are manufactured according to EN 14889-1. Based on tests performed by the Building Research Institute in Warsaw, our products have been approved for use in construction. Our products meet quality requirements and are CE-marked (1488). Also, our products have been approved by the National Institute of Hygiene in Warsaw. Once mixed with concrete, EKOMET fibre reinforcement forms a composite, the so-called fibre-reinforced concrete. Fibre-reinforced concrete using EKOMET fibres shows a considerable increase in impact strength, fatigue strength, fracture resistance and increase in tensile strength in bending. Using EKOMET steel fibres simplifies the construction process of concrete surfaces and reduces the cost. All types of EKOMET fibres are designed for compounding fibre-reinforced concrete mixtures in industrial conditions (concrete plants), on site (mobile stations, dosing into concrete mixer trucks), and for individual purposes (concrete mixers). In terms of dosing, EKOMET steel fibres can be used as an ordinary concrete mix fraction. See the product data sheet for more information.